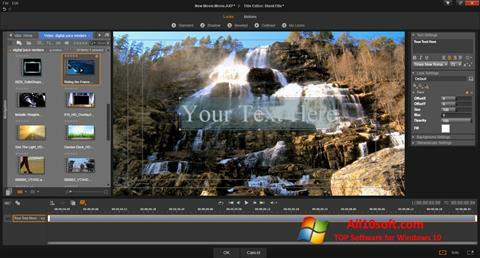 Pinnacle Studio for Windows 10 - linear video editor with a set of professional tools. The application allows you to import non-digitized content, perform editing with the arrangement of markers and key frames, process audio materials and images without third-party software, configure the parameters of effects and filters. The program uses methods of working with layers, contains a large collection of animated transitions and presets for creating films, has a module to include moving captions. The editor is able to burn the finished projects to disk and export with preliminary conversion to the selected format. You can free download Pinnacle Studio official latest version for Windows 10 in English.